Last Saturday I saw the movie. Sunday morning, I read the Rex Reed review, as published in the New York Observer. It's fair to say that Reed didn't like the movie. He calls it as "wooden as Washington's teeth." I liked Lincoln. I did not find it "wooden," "arid," or a "colossal bore," as Rex Reed did. David Denby, writing a review in The New Yorker, has a more a more positive take, calling Lincoln a "legislative thriller." To me, as someone who still self-identifies as a "politician," this movie showed (I thought powerfully) that we can remake our world through law. The enactment of the Thirteenth Amendment changed not only the United States. It changed the world, and it changed it for the better. In many ways, it was our "finest hour." The story of how Abraham Lincoln put his will to work, to make that so, is an exciting story. It is an inspiring story, too, for we now know, if we ever doubted, that we can use the legislative process as the way to achieve an almost inconceivable transformation of the reality that everyone assumes is fixed and inevitable. 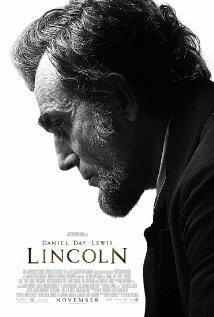 Lincoln is as exciting as any James Bond flick.